That is my most favourite place in London. Thank you for the close-ups - they are awesome. It was my favourite place inside too - the outside used to be black so I never really gave it much of a look! What a joy to see the colourful bricks when all that muck was cleaned off, so now it's my favourite inside and out! Great photos. I keep meaning to do the NHM Spirit Collection tour but other stuff always gets in the way! 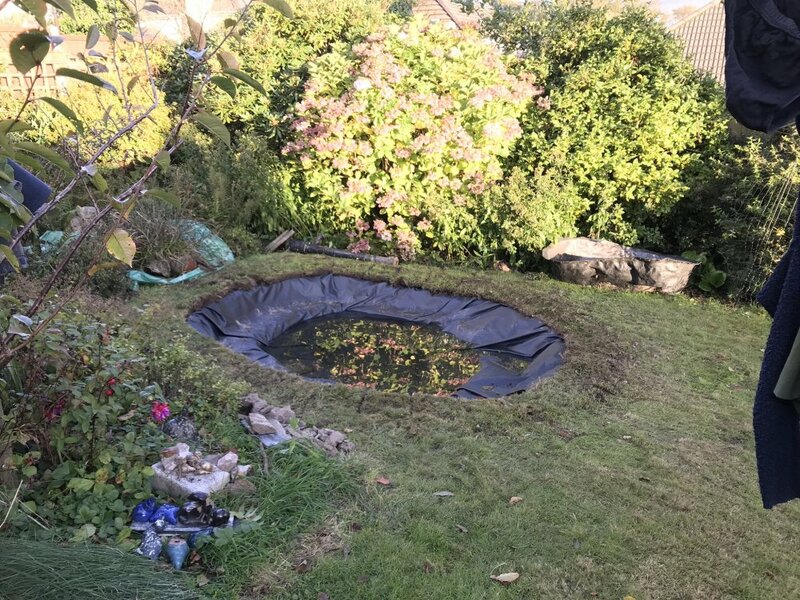 Over a long weekend last weekend, and half of today OH and I removed the rubbish little pre-formed above ground pond that was here when we moved in, and have dug a decent wildlife pond. Really hard work but pretty pleased with the outcome- can’t wait to see what it’ll look like in 12 months time! Love the supervisor! Looking good! Soon be teeming with wildlife! That looks super. If you weren't so far away I'd bag that topsoil! You will soon have loads of wildlife in your pond. It's amazing how frogs and newts find a new pond. I have water hawthorn in my pond. It's a native species and mine flowers all winter with a beautiful smell. have water hawthorn in my pond. It's a native species and mine flowers all winter with a beautiful smell. If you weren't so far away I'd bag that topsoil! No chance DM! I have smart raised beds planned for my veg plot (well they won’t be smart because nothing I make ever is but they will be raised beds!). I was pleasantly surprised to find topsoil almost to the full depth, then just granite decomposing to sandy stuff underneath which dug out relatively easily (usually around here you meet granite boulder at a few inches!) 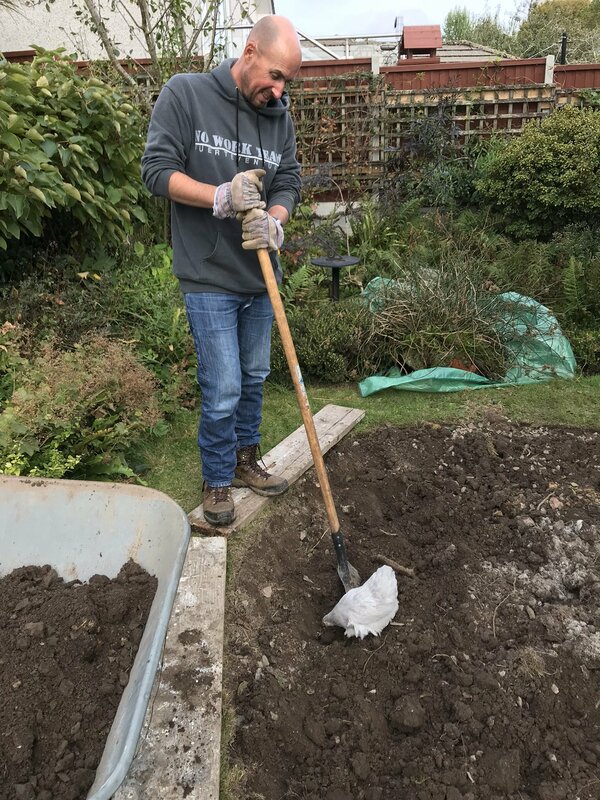 and will mix well with the top soil. This is where I am today. 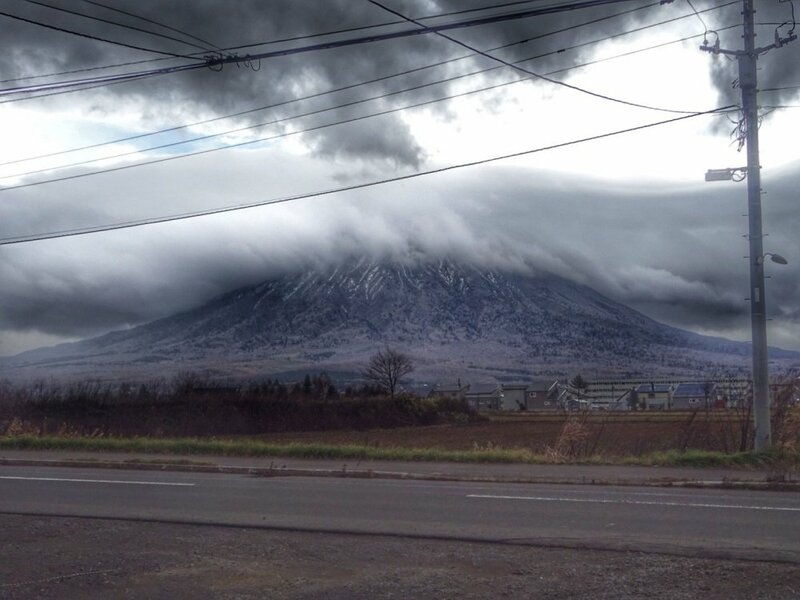 I'm living right opposite this volcano in the North of Japan. It's quite wild here. Wow, amazing pic! How are your 'Japanese' family? Has the baby arrived yet? Not quite. Very close now but I think I'll have to wait to see him. I've had some lovely food here. Steamed buns, soup curry which is a big hearty meal with every colour of veg and a meal called shabu shabu. We're going to visit a tofu factory where it's made with fresh spring water. I had a lot of fun going round a supermarket. We went to the crater of an active volcano. It erupts every 20-30 years and it's due to go again so that was quite thrilling. Met this chap on the way back. Don't think you'd get that in a Cube let alone a Classic! Sounds as though you are having a wonderful time, PL! Maybe not, but imagine the egg you'd get from that !!! Loving the pics and food info from Japan, and the new pond. I got back from India last night. We went round Rajasthan for 2 weeks. 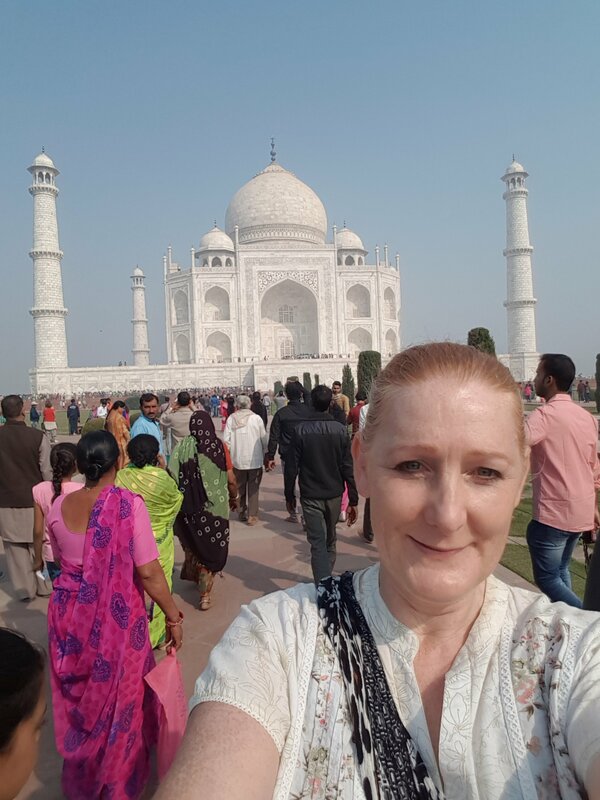 My first time in India. I loved it, and have developed a taste for masala chai. I've never been a tea drinker in my life! That photo of Japan reminds me of Scotland! Not the volcano bit obviously, just the fact its a big mountain, shrouded in cloud with ordinary houses at the foot and a telegraph pole! 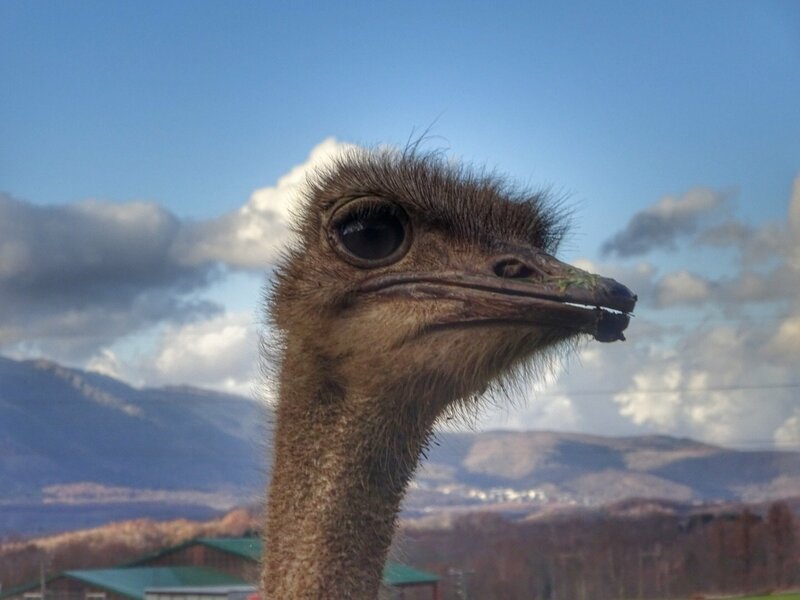 You must be having a lovely time, seeing Japan through family eyes, not just on a quick trip as a visitor. Colour, colour, colour - just the thing as I look out of the window for yet another day of incessant rain! That must have been a great visit, getting a blast of another culture and weather just as we settle into late autumn. Thanks for the photos, both! Love the photos, I've been to both countries and loved them both! Flew back to uni at 5:45 this morning so feeling pretty tired today! 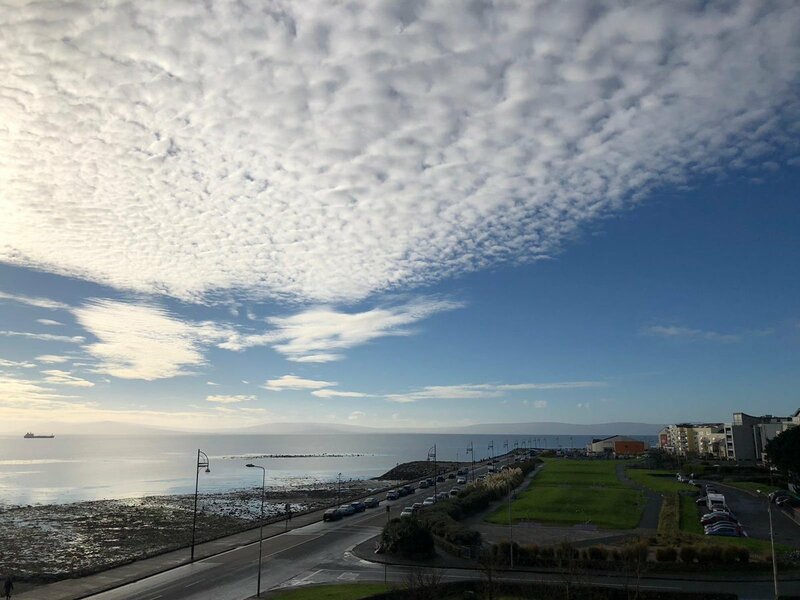 That's a lovely photo Lewis - am loving that sky! Loving all the pics. Did you escape the deli belly RHC. All of my group got it one by one. Thankfully I got it when I was almost home. One poor girl spent the whole of a 4 hour train journey on the European loo. I had a curious day in London today. I wanted to visit the crypts of ancient churches in the square mile. I only managed St Brides and All Hallows by the Tower. I didn't really appreciate or remember how easily distracted I am by curious alleys so we (OH and me) found places we didn't know existed. It was a very dark, grey day so really difficult to get a nice photo but I thought you might like the story behind this. Apparently a baker was inspired by the steeple of St Brides to bake the first ever tiered wedding cake. How true that is I don't know but it's a great tale. 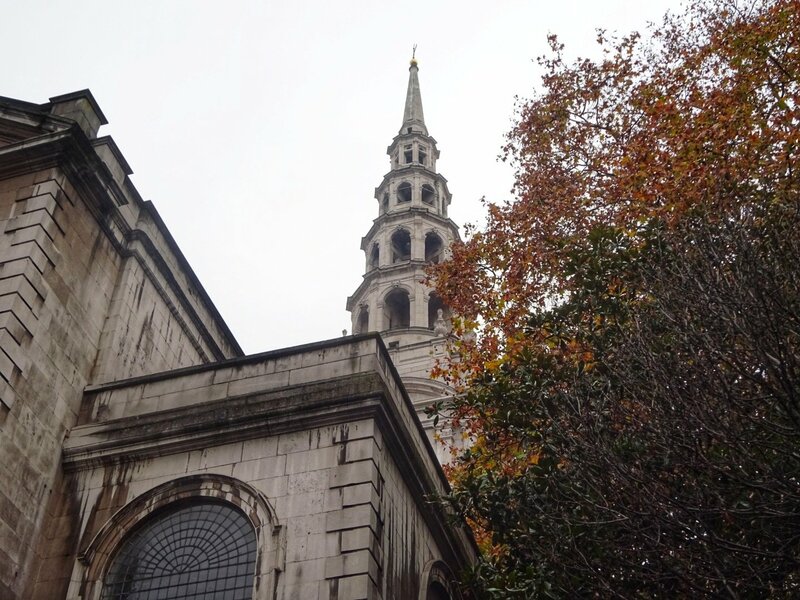 The best thing about St Brides is that you can see London's history from Roman times. I had a really fun evening. We went to see Leo Moracchioli at The Dome in Tufnell Park (Highgate sort of area if you're not sure). They do heavy metal covers of all sorts of songs. I did some very refined head banging. I now have a headache!